I know… what was I thinking? Actually, I was in the mood for a cake and, in barely the blink of an eye, my Sweet Paul e-newsletter popped into my inbox. And what was the lead story? 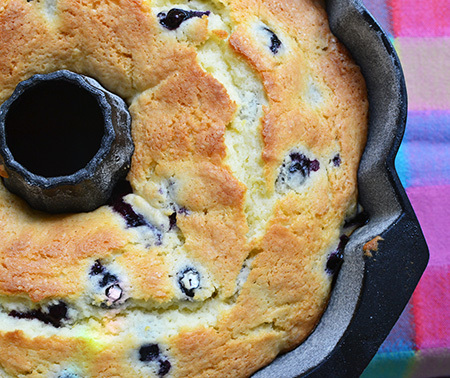 You guessed it - a blueberry bundt cake. With the added bonus of a blueberry glaze. Other than reduce the sugar in the glaze (which did make it much thinner), I stuck to the recipe. The cake is quite nice and the crumb is soft, not crumbly. Preheat oven to 350°F. Zest and juice both lemons, but juice the lemons separately as the juice of one is used for the cake and the juice of the other for the glaze. Using baker’s spray, coat a 10-cup bundt pan. 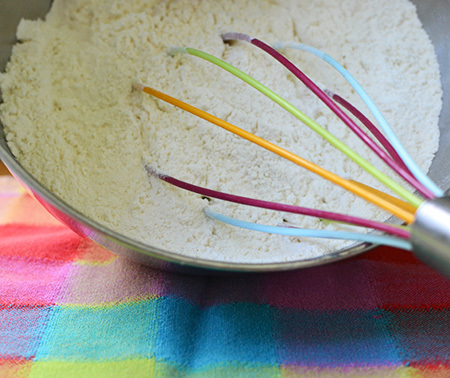 In a medium bowl, whisk or sift flour, baking powder, and salt together and set aside. Add juice of one lemon and vanilla to buttermilk and set aside. 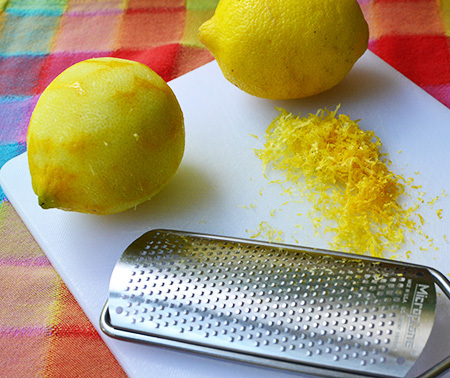 In the bowl of a stand mixer, mix sugar and lemon zest until well combined. Add the softened butter and beat until light and fluffy, about 3–5 minutes. With the mixer on a low speed, add your eggs 1 at a time, scraping down the bowl between each addition. Alternate 3 additions of the flour mixture and 2 additions of the buttermilk mixture, beginning and ending with flour, scraping the bowl between additions. Do not over-mix. 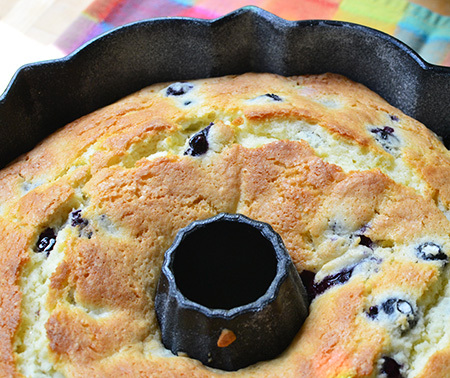 Toss the blueberries with a tablespoon of flour to coat, and gently fold them into the cake batter. The batter will be very thick so don’t worry if the berries squish a little. Spread batter in the pan and smooth the top. Bake for 55–60 minutes, rotating the cake 180° after 30 minutes to make sure it browns evenly. Set cake pan on a wire rack to cool for 30 minutes, then turn out cake onto rack to cool the rest of the way. When the cake is completely cool, prepare the glaze. 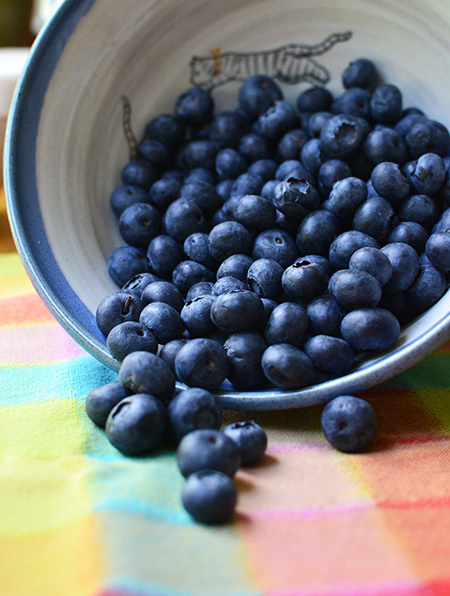 Mash the blueberries in the juice of the other lemon with a fork or potato masher. Press through a sieve or fine mesh strainer to remove the skins and get the maximum amount of juice. Add the confectioners' sugar to the juice and whisk until smooth. Add more sugar to taste if you like a thicker glaze. Place cooling rack and cake onto a clean baking sheet to catch any glaze that drips off the sides. Pour glaze over cake, letting it trickle and drip down the sides. If desired, collect excess glaze in the baking sheet and pour another coat - but you will need to re-warm it. Let the glaze set for at least 15 minutes before serving. Cake can be stored, covered, at room temperature for 3–4 days. David, your bundt cake looks fantastic, especially the blue glaze. Have a wonderful second advent and enjoy. Thanks, Gerlinde - this second week of advent must be beautiful in Germany! I love simple cakes like this, and if I wasn't working today, I'd be making it for sure. Next weekend, I think! Oh, John - so sorry! How hard was it to get back to work? Maybe the cake would help re-entry? That cake reminds me of summer! I couldn't tell whether this was a nod to my readers in the Southern Hemisphere, or to fulfill the needs of northerners to have a it of summer again. 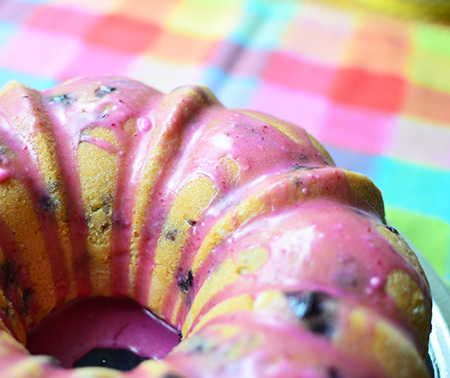 Blueberry and lemon is a hard combination to beat, beautiful cake. It is a great combination, Emma! David, what a coincidence- I just bought a bundt cake mold yesterday (although I'm going to make a layered gelatine dessert with it). The nice thing about bundt cakes is the interesting fluted shape- no need to layer the cake and do a finicky icing on top. Yes, I also like the combination of the blueberries with the lemon! I hate to admit this, Fran, but all that icing on cakes gives me stomach distress! Simple and plain is fine with me! Oh my this looks so good! That icing is such a great colour! Thanks, Caroline - I love using fruit juices in glazes - it makes them such pretty colors! 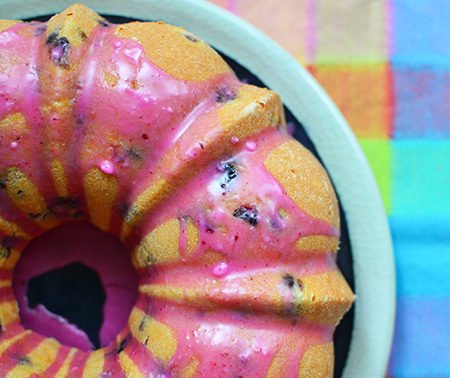 Love the pink glaze and this delicious wonderful cake. There is nothing like a berry cake or pie to brighten up the winter months, my favorite. It does look rather festive, doesn’t it Cheri? David, I wouldn't be too shy to have a second piece of this cake, I just know it! Sounds fantastic and I love the color on that glaze. I can't wait to try this one! Need I admit how many pieces I had, Marcelle? Indeed, Valentina... fa la la! Now *I* am in the mood for a blueberry bundt cake, but have no time to make one today - thanks a lot, David! Love that glaze. Honestly, it was the glaze that caught my eye, Jean! This works well with frozen berries, Inger! Let me know what you work out with the sugar substitutions! I love the color of that glaze! 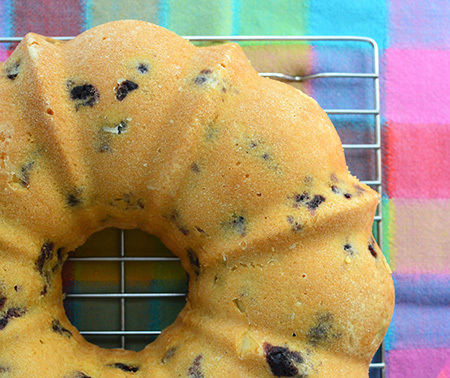 Looks like a great recipe and beautiful bundt cake, David! The color of the glaze is what caught my eye, Christina! So pretty!